112 is the European Emergency call number that can be used in the 27 Member States of the European Union in case of an accident, assault or other emergency. 1722 for non-life-threatening conditions. is only activated in extreme weather conditions such as thunderstorms or intense rain. The “after hours” medical service for the villages Moelingen, ‘s-Gravenvoeren, Sint-Martens-Voeren and Sint-Pieters-Voeren is accessible from 18.00h to 08.00h on phone number: +32 (0)4 374 09 00. And on Friday, weekends and holidays from 18:00h until (Monday) 08.00h on phone number: +32 (0)4 374 09 34. Only consultations by appointment at one of the six after hours medical centres in the district of Verviers. 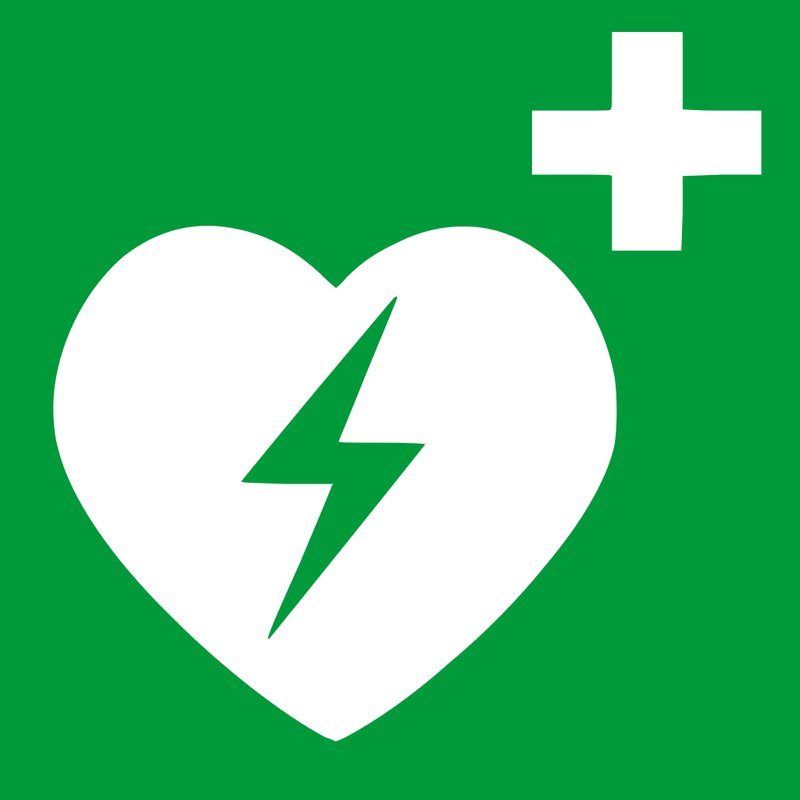 On www.apotheek.be you’ll find all Emergency Pharmacies! Enter the postal code 3790 for the Voer-region. Need urgent help in Belgium? Now you can also contact the emergency call centres via app. 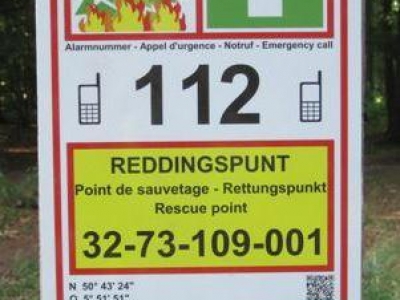 The app 112 BE is one of the possibilities to reach the emergency call centres if you need urgent help from the fire brigade, an ambulance and/or the police in Belgium. The most important advantage of this app is that you do not have to remember the emergency numbers and therefore cannot forget them if you’re in distress. You just tap the ambulance, firefighter or police icon depending on what kind of help you need. You can download the app on the app store or on Google play store. Limburg is the green province of Flanders. Especially in the Voer-Region you can enjoy the nature and varied landscapes to your heart’s content. Walking, cycling and riding are great ways to relax. But what if you encounter an emergency? How do you know where you are? The signalisation plates of the bike routes for example are equipped with Lambert coordinates. In case of emergency you can call the number ‘112’ and transmit those coordinates. In addition 6 rescue points, which are always accessible for ambulances, were recently placed on strategic locations. 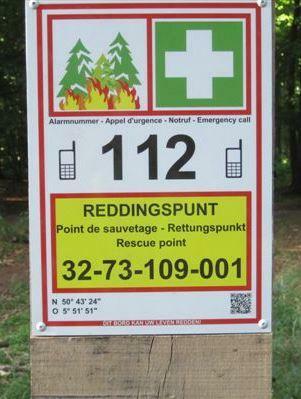 Besides an accident you can also report a (starting) wildfire to the emergency services.